The technology of the wood gas generator may appear somewhat strangely to the viewer of today. Handling was lengthy and dirty. But it helped to save important resources. 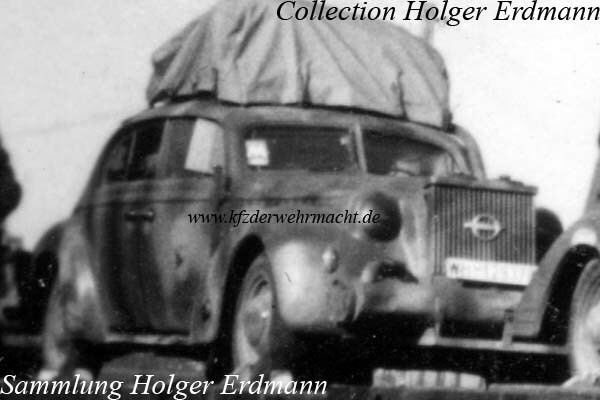 Vehicles equipped with a wood gas generator were identifiable by its additional gas radiator. 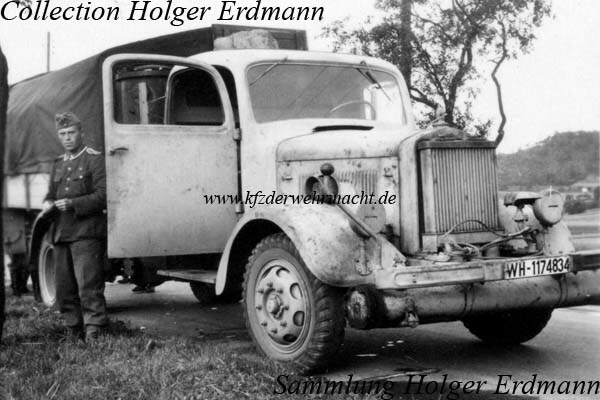 Vehicles with wood gas generator were used almost exclusively in the private sector and in the homeland theatre of war. 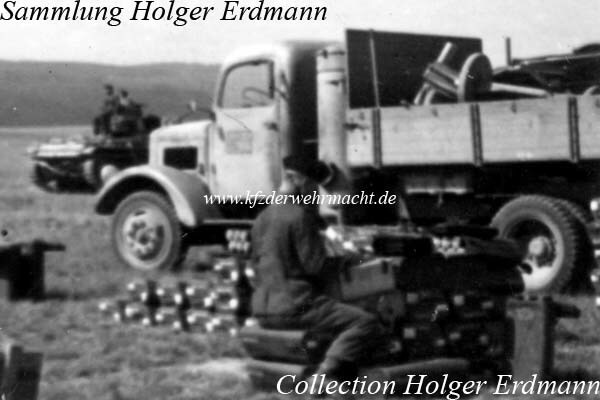 This Mercedes Benz L 3000 S with wood gas generator was in use on a military training area. Note the gas generator behind the driver’s cab which was similar to a bathing furnace. 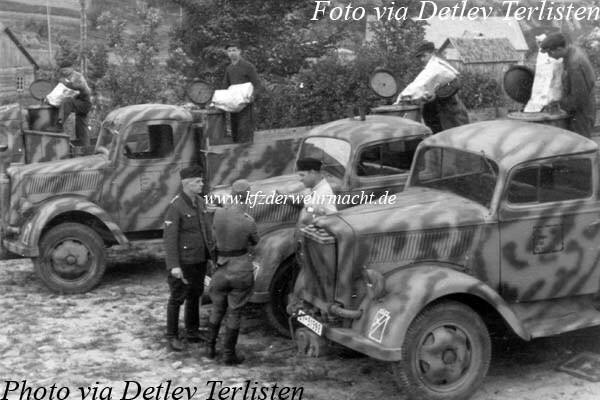 Although the vehicles with wood gas generator should not be used by frontline troops, this photo of an Opel Admiral with wood gas generator of a signals battalion seems to prove the opposite. On this photo one can see the refilling procedure of the wood gas generator. The loss of power during generator operation was specified as 20%.